SUMMITVILLE, IN- Larry E. Richards, 77, passed away on Thursday, November 29, 2018 at Community Hospital in Anderson following an extended illness. 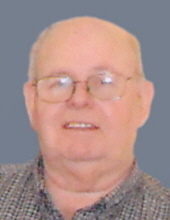 He was born on June 15, 1941 in Muncie to John and Gathel (Watson) Richards and has lived in the Alexandria-Summitville area most of his lifetime. Larry was a graduate of Alexandria High School-Class of 1959 and attended Purdue University. He retired from Dana Corporation in Marion in 1998 after 37 years of employment. He has been a faithful member of the First Christian Church of Summitville where he has served in numerous positions including deacon. He was a Past Master of Summitville Masonic Lodge and currently a member of the Fairmount Masonic Lodge-#635. Larry was an avid fisherman and especially enjoyed bass tournaments. He enjoyed summers spent at Lake Barbee and was a loyal Purdue fan. Services honoring Larry’s life, legacy and faith will take place at 1 pm on Tuesday, December 4, 2018 in the First Christian Church, 712 East Walnut Street, Summitville with Pastor Nathan Lutterman officiating. Interment will follow in Vinson Memorial Cemetery at Summitville. Friends may call at the Owens-Noffze Funeral Home, 1009 West Walnut Street, Summitville on Monday, December 3, 2018 from 4 pm to 8 pm or at the church after 12 Noon prior to the Tuesday services. The Fairmount Masonic Lodge will conduct a Masonic Memorial Service at 7:30 pm Monday in the funeral home. Memorial contributions are suggested to the Summitville First Christian Church Memorial Fund through the funeral home. Owens-Noffze Funeral Home is honored to care for Larry and the Richards family. To send flowers or a remembrance gift to the family of Larry E. Richards, please visit our Tribute Store. The Fairmount Masonic Lodge will conduct a Masonic Memorial Service at 7:30 PM Monday in the funeral home. "Email Address" would like to share the life celebration of Larry E. Richards. Click on the "link" to go to share a favorite memory or leave a condolence message for the family.